Indian pepper shipment for period April-December 2016 was 14,100 tonnes valued at Rs 903.38 crores during the first nine months of the current fiscal, against 23,450 tonnes valued at Rs 1,438.15 crore in the corresponding period last financial year.This translates into a drop of 40 per cent in quantity and 37 per cent in value. Meanwhile, Indian pepper imports stood at 15,650 tonnes valued at Rs 1,162.96 crore for period April-February 2016-17 through Kochi port. 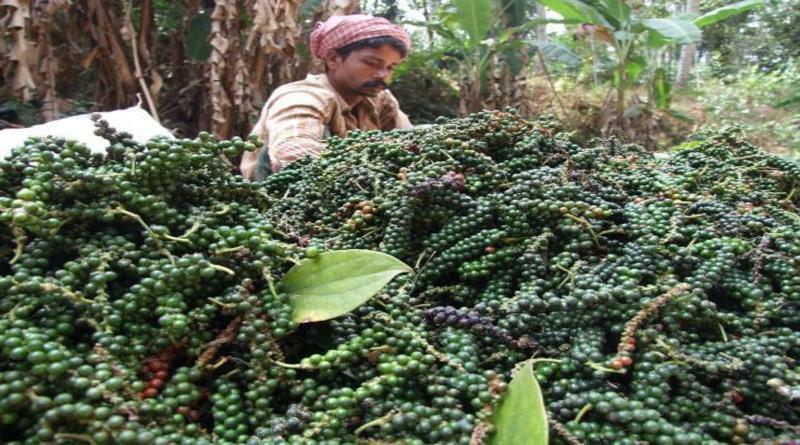 According to exporter -The main reason for the fall in exports is due to high prices of Indian pepper, which is much above from its competitors,as a result,many buyers of Malabar pepper have switched over to Indonesia and Vietnam’s cheap pepper. He also says that due this we have lost many of our export markets and it has now become difficult for the exporters to regain the lost market from our competitors. He attributed the high prices in India to strong domestic demand without a corresponding growth in production.Much of Indian pepper exports are a re-export of imported pepper after value additions such as extraction, grinding and sterilisation.